There’s a new poetry night set to be welcomed into the North East’s strong poetry scene, as Northern Rising comes to Ernest once a month, starting on Monday 9th October. Inspired by our region’s countercultural heritage, the show will feature readings from established, emerging and first-time poets, as well as music and visual displays. The North East’s counterculture scene is still strong, and ever growing, with this new night seeking to play a part in accelerating that. Northern Rising wants to create a night and a space in which radical art of all types can flourish, fostering a real spirit of solidarity, in a world where activism and revolt become ever more crucial. The opening night is headlined by Fruela Fernandez, and will set a bench mark for what is to come. 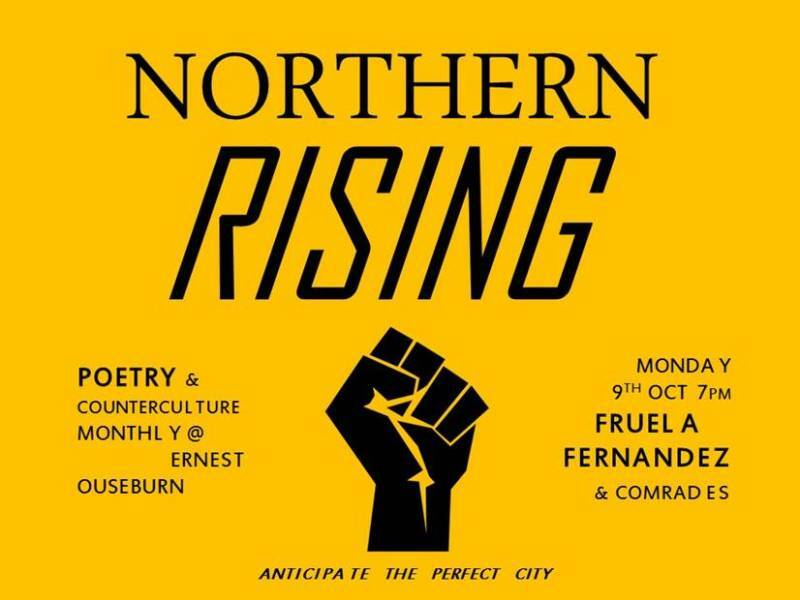 Northern Rising is at Ernest, Newcastle on Monday 9th October.